Dr. Ricardo Brown, dean of the College of Public Service, said the Department of Urban and Regional Planning has an annual enrollment of about 50 doctoral students, 24 master’s students and 14 undergraduates. 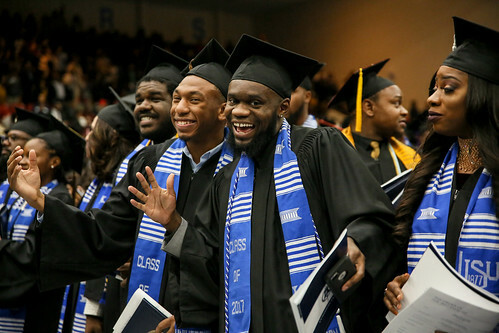 Jackson State University’s Department of Urban and Regional Planning (DURP), located in the downtown campus, received an additional two years on its four-year accreditation term. This distinction extends the department’s accreditation through December 31, 2020. Created in 1998 as a result of the Jake Ayers settlement, the department is the only accredited planning program in Mississippi. It boasts an annual enrollment of approximately 50 doctoral students, 25 master’s students and 14 undergraduates. Many of their graduates go on to pass the American Institute of Certified Planners (AICP) exam and gain employment as city and regional planning directors throughout the nation. Lisa Johnson, student coordinator and publicist for the department, explains that programs seeking accreditation must consider the following criteria: awarding degrees to at least 25 students or more; overall university accreditation status; timeframe for degree completion; and program focus among other factors. The department tracks crucial statistical data, which includes student demographics and achievement as well as monitoring the career progress of the DURP alumni. Accomplishing an accreditation extension is no easy feat and all involved in the process are elated. “This is exciting news and a reflection of the hard work that our faculty engages in daily to keep our curricula current, innovative and relevant,” Brown said. The department’s next self-study report is due in 2019.